This sequin mix will have you glowing! A mix of iridescent buttercream, pale pink and lovely orchid. 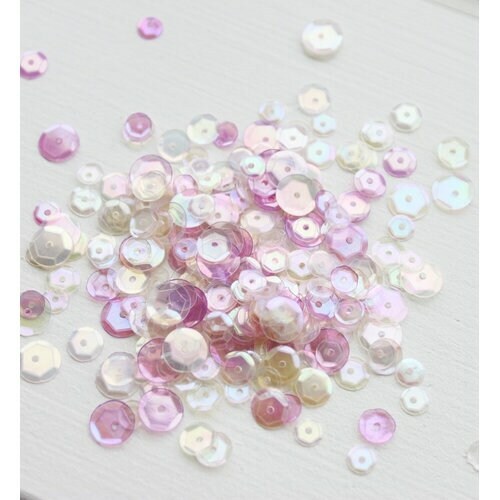 Each color is in a variety of 5mm, 6mm, and 8mm sizes. Each pack contains approximately 300 sequins.